Banish The Summer Holiday Blues! Horley Lawn Tennis Club is running Summer Tennis Camps from 27th July to 28th August. Caters for all ages from 5 to 16, and for those who have played little or no tennis through to juniors with experience of the competitive game. Sessions run from 9.30am-12.30pm and 1.30pm-4.30pm. Pre-club childcare is available for those participating from 8.00am-9.30am, and post-club from 4.30pm-6pm. Supervision and coaching is provided by HLTC Head Coach Justin Griffiths and his team. E-mail tennishorley@gmail.com for the brochure with details and pricelist. PRE-BOOKED additional summer holiday sessions at Oriel High School Maidenbower Lane, Maidenbower, Crawley, West Sussex, RH10 7XW. Classes are on 24th and 31st July. 7th, 14th, 21st and 28th August. Open to members and non-members, it’s a great way to see if children like the activities, or a way to do more training in our fun and friendly classes! Cost is £7.00 per session. Roller disco! - Every Saturday aged 5-12 years at Oakwood Sports Centre in Horley 4pm to 6pm... Come and join us for coffee and play 3 - 12 years - every Sunday 9am - 11am. Where we have Bouncy castle, rope swing, face painting.. Arts and crafts, table tennis for the older ones! Fab time for kids to play whilst relaxing with a coffee and chatting with friends!! www.blueleisure.com Oakwood Sports Centre. 01293 822238. 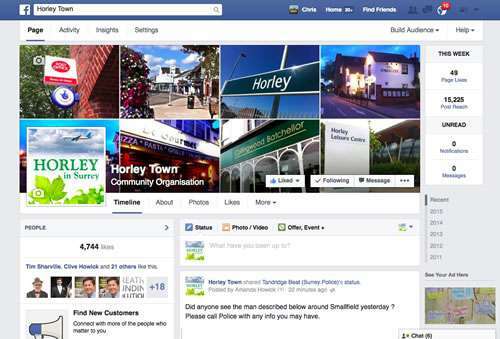 There is more info on our sister page on the Horley Local directory.